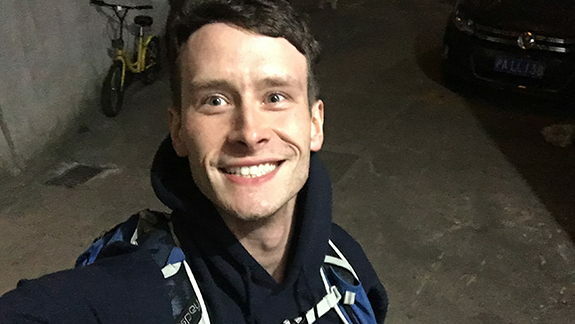 Jan. 16, 2019 - On a mission to help students overcome the financial barriers to college, Greg Nance, Chicago '11, will run a marathon on each continent during the seven day World Marathon Challenge powered by Wentworth. Beginning with 26.2 miles in Antarctica on Jan. 31, Greg alongside 39 other contestants (including Olympians and World Record holders) will attempt to complete marathons in Cape Town, South Africa; Perth, Australia; Dubai, UAE, Madrid, Spain; Santiago, Chile; and Miami, USA before Feb. 6. "I've run 150 miles across the Gobi Desert and 125 miles through Malaysia's jungle, but The World Marathon Challenge powered by Wentworth will be the toughest yet," Greg said. 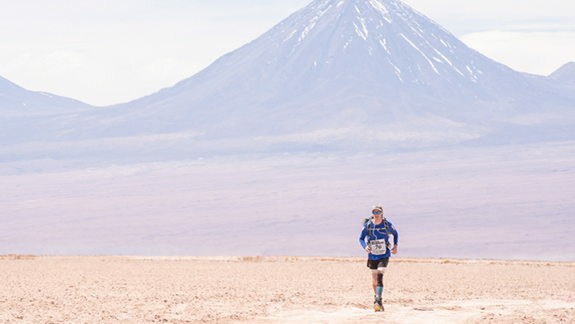 Beyond coordinating myriad logistics (including 23,000+ miles of air travel), running seven marathons back-to-back will be a grueling physical and mental test — from battling sleep deprivation and extreme fatigue to managing blisters, chafing, dehydration, shin splints and muscle cramps. Only 104 people have ever completed the World Marathon Challenge, compared to 562 who have traveled to outer space or 4,000+ who have climbed Mt. Everest. "I'm already hard at work training my strength and stamina so I'll be ready to run the first marathon in Antarctica's sub-zero temperatures on Jan. 31 and finish strong in Miami six days later!" he said. One of the reasons Nance is competing in this challenge is to raise awareness for his nonprofit, Moneythink. Moneythink, a 501(c)(3) not-for-profit, was co-founded by Greg while he was an undergraduate at the University of Chicago and is dedicated to breaking down the financial barriers to college for students from disadvantaged backgrounds. Several DU brothers at UChicago were among the pioneering mentors after Moneythink's founding in fall 2008. The organization's innovative text-based financial coaching model helps low-income students navigate the college application process. So far, it has helped over 15,000 students in 30 cities. "I believe the only limits that matter are those we place upon ourselves," Greg said. "Tackling a big challenge teaches us that obstacles are opportunities to become a stronger version of ourselves. I'm aiming to run 7 marathons in 7 days on 7 continents to inspire students across the country to dream bigger and keep working hard to make it happen. "I was only able to attend my dream schools, UChicago and Cambridge, with the help of scholarships. I'm on a mission to pay it forward. I've served as a volunteer mentor and leader with Moneythink for 10 years, and it's been incredible to see our team grow to a national network of young people seeking to create fair access to college."